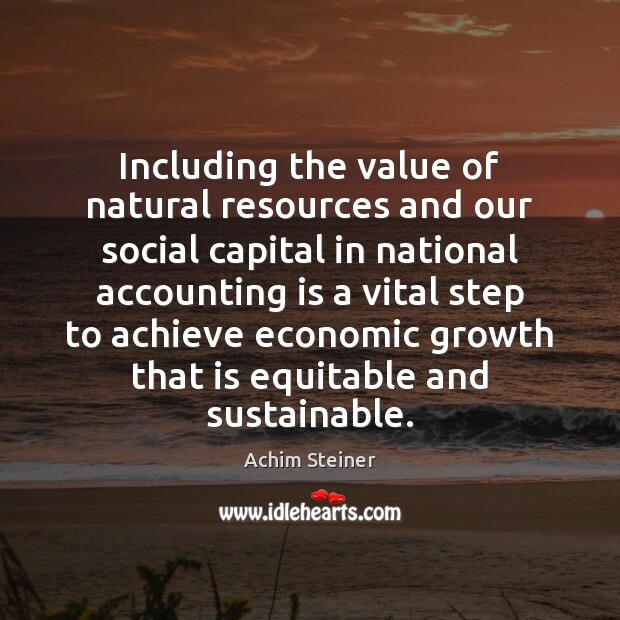 Enjoy the best inspirational, motivational, positive, funny and famous quotes by Achim Steiner. Use words and picture quotations to push forward and inspire you keep going in life! 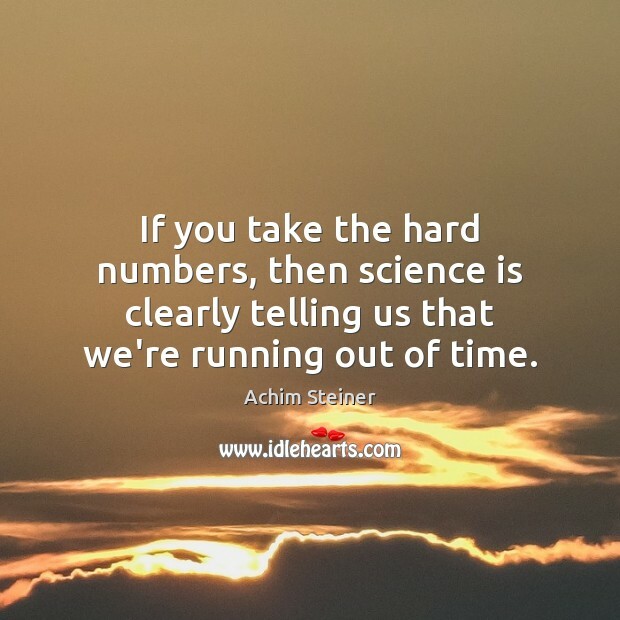 If you take the hard numbers, then science is clearly telling us that we're running out of time. 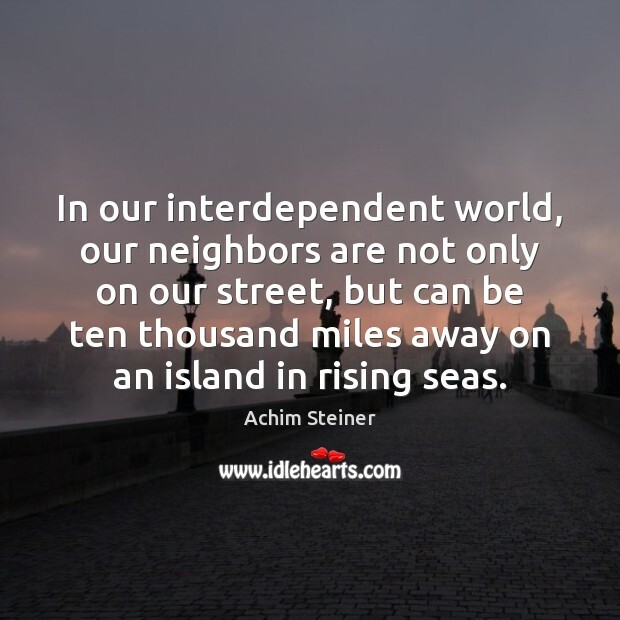 In our interdependent world, our neighbors are not only on our street, but can be ten thousand miles away on an island in rising seas. 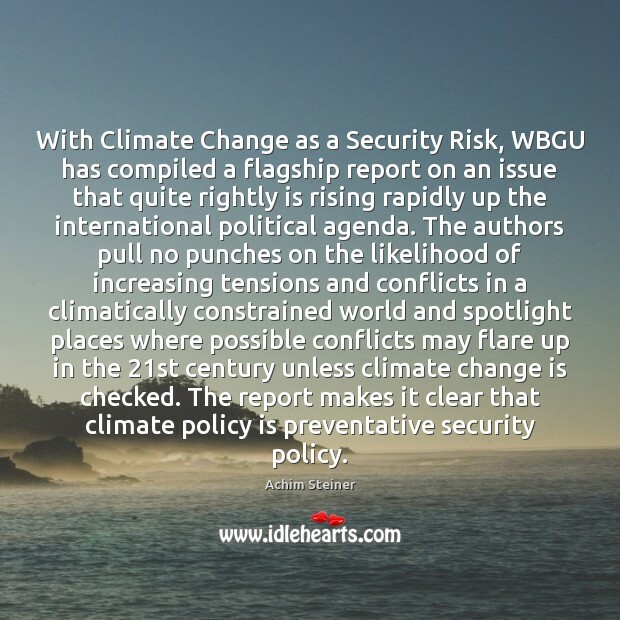 With Climate Change as a Security Risk, WBGU has compiled a flagship report on an issue that quite rightly is rising rapidly up the international political agenda. 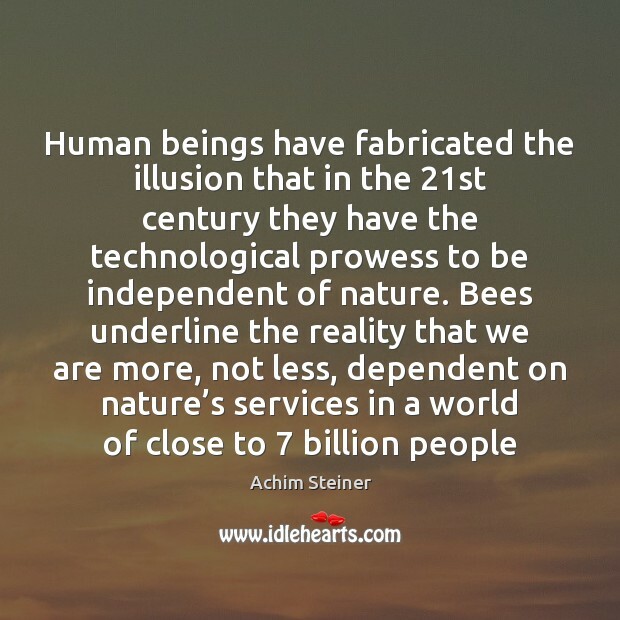 The authors pull no punches on the likelihood of increasing tensions and conflicts in a climatically constrained world and spotlight places where possible conflicts may flare up in the 21st century unless climate change is checked. 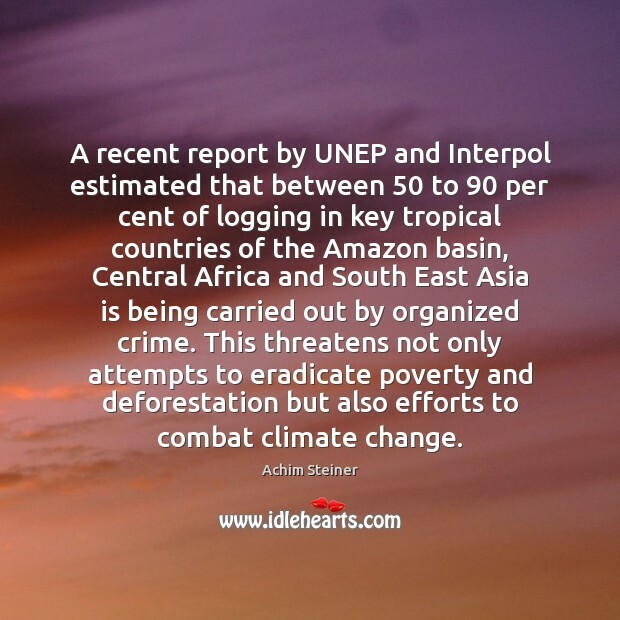 The report makes it clear that climate policy is preventative security policy. 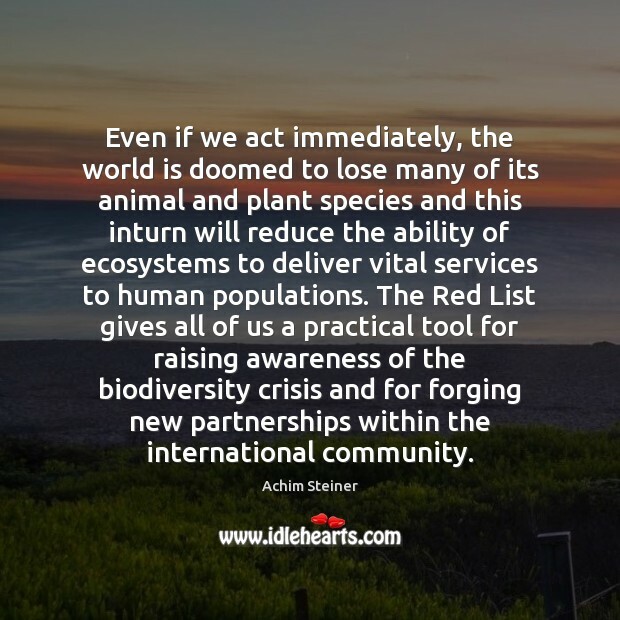 Many of our partners are here and this is where the world's expertise on environment and the wider sustainability agenda often and regularly gathers. 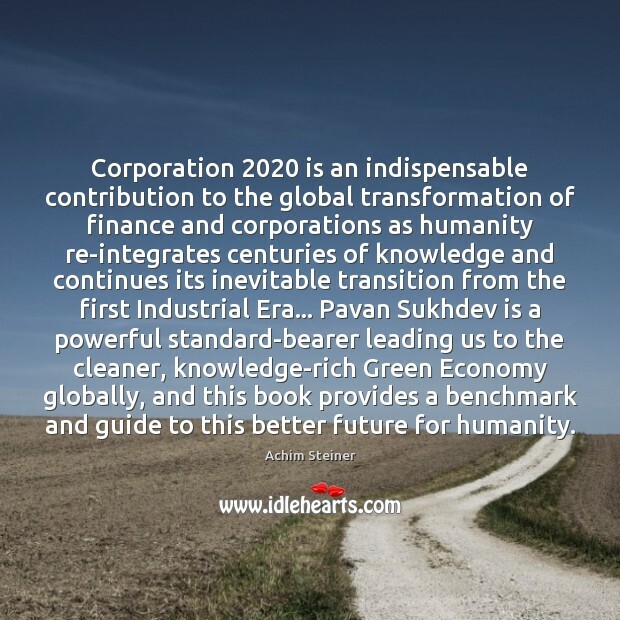 Here is where international initiatives frequently start and are nurtured. 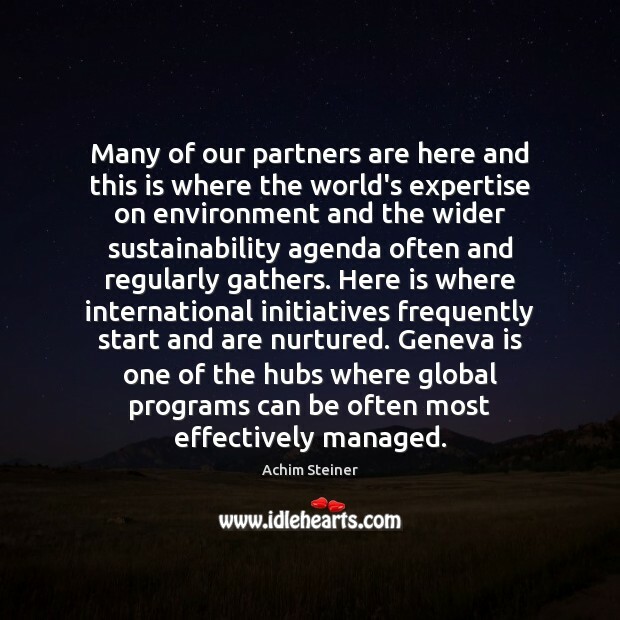 Geneva is one of the hubs where global programs can be often most effectively managed. 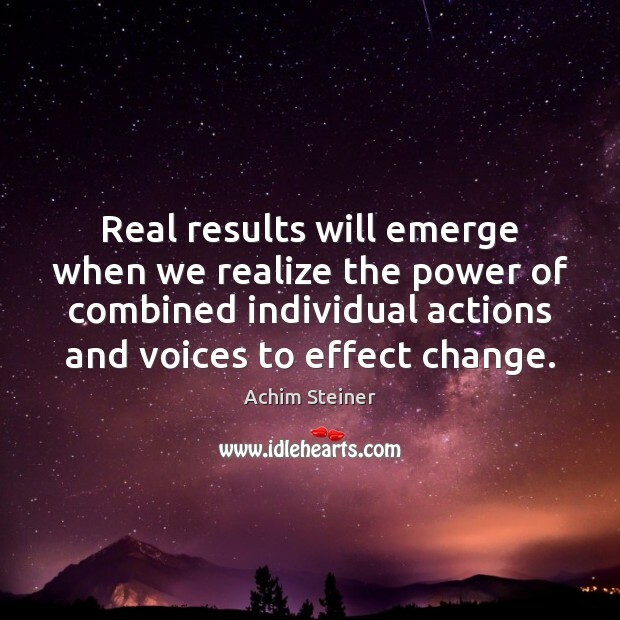 Real results will emerge when we realize the power of combined individual actions and voices to effect change. 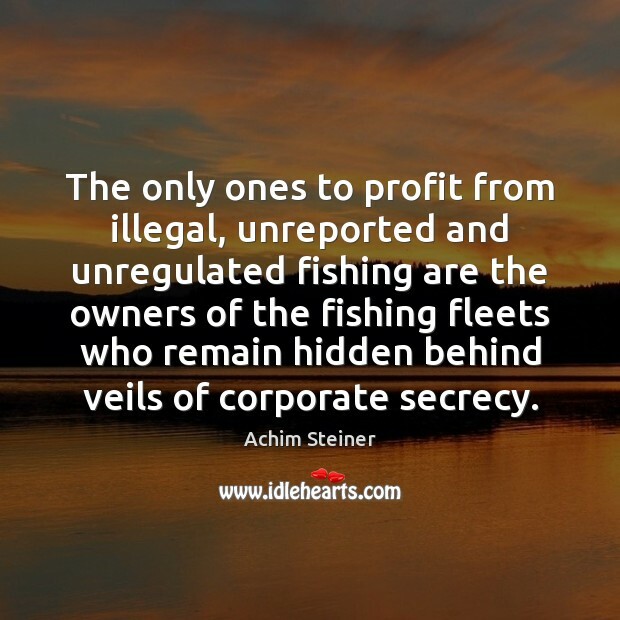 The only ones to profit from illegal, unreported and unregulated fishing are the owners of the fishing fleets who remain hidden behind veils of corporate secrecy. 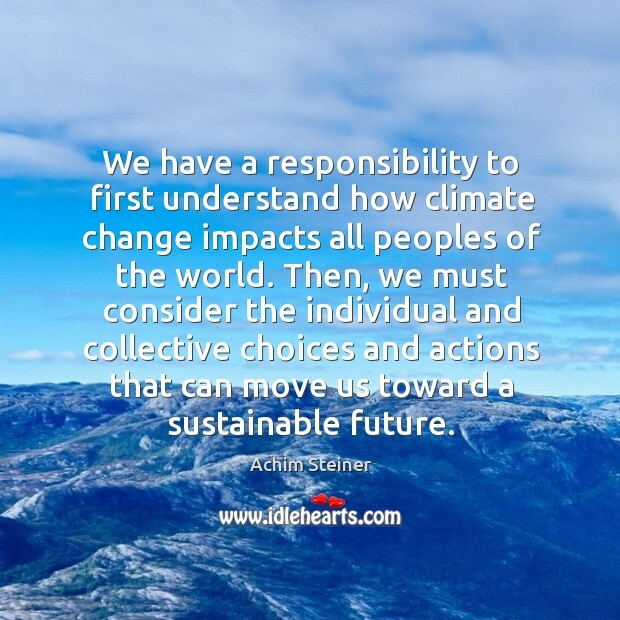 We have a responsibility to first understand how climate change impacts all peoples of the world. 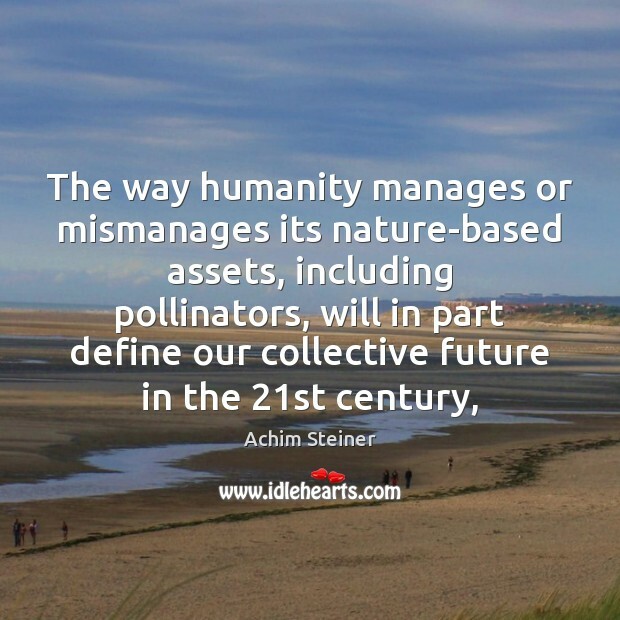 Then, we must consider the individual and collective choices and actions that can move us toward a sustainable future.